Unfortunately, the days of the Chevrolet Malibu being a bona fide muscle car are long gone with no sign of coming back, but that doesn’t mean you can’t add a little muscle to Chevy's midsize sedan. 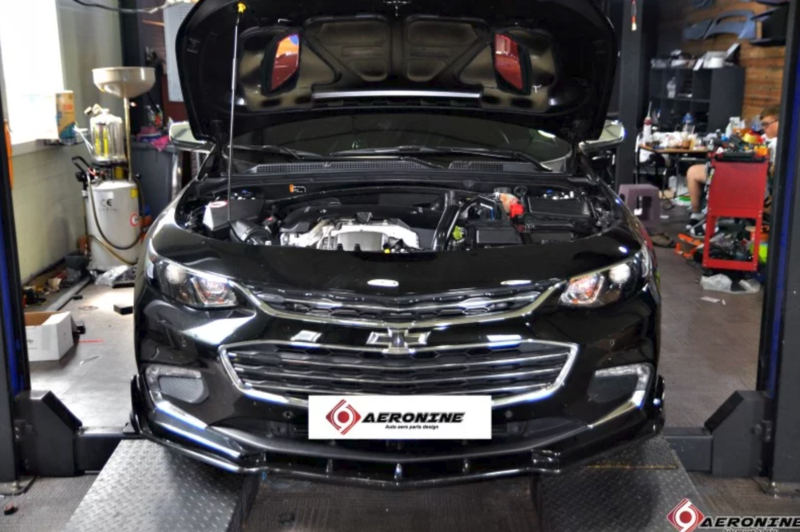 The current-gen Malibu is already one of the better-looking cars in its class, but according to GM Authority, body kit maker AeroNine saw some room for improvement, particularly in the front fascia. This aftermarket kit gives the Malibu’s face a striking resemblance to a sixth-generation Chevy Camaro ZL1. It has the ZL1’s trademark honeycomb style lower grille with two smaller inlets on either side and a narrow upper grille above it with the Chevy bowtie emblem in the middle (which, unfortunately, isn’t a “Flowtie”). It uses the Malibu’s stock headlights which are already fairly similar to the Camaro’s, enough so to make this kit a convincing ringer for a ZL1. Check out the before and after. But it isn’t just for show; this AeroNine kit has a couple of functional perks too. It has working daytime running lights lying outside of the lower inlets and it also features functional parking sensors built in. 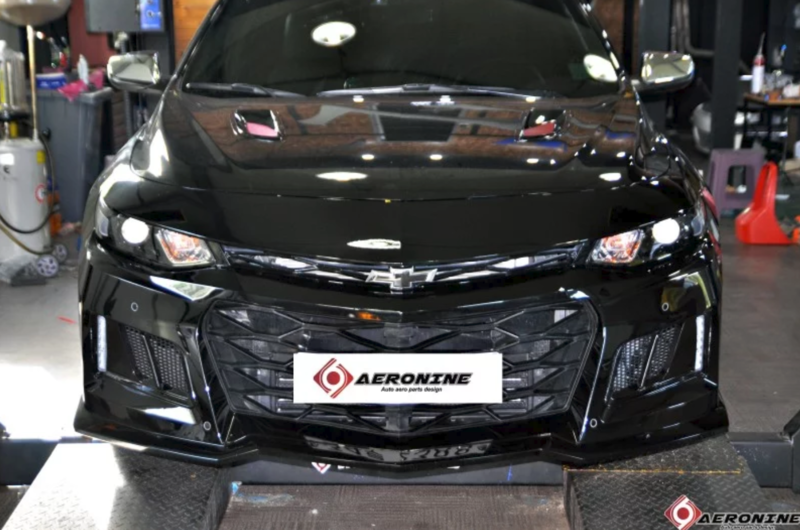 We can’t confirm for sure whether or not there’s any aerodynamic benefit to this ZL1 imposter, but it looks like it’s more than sufficient for keeping air flowing to the engine. However, AeroNine can only make your Malibu look like its much more muscular, 650-horsepower brother from the front. Even when equipped with this new face, the rest of the car is still just a Malibu with less muscle and more doors than a real Camaro. Changes include facelifts, a Malibu RS, and no more manual option for the Cruze.